It’s about the journey, that’s what they say. This journey could be described as epic; epic by anybody’s standards. The journey has taken us through multiple time zones, allowed us to compare muted business class lounges in different continents and walk, zombie-like at dawn, amid crowds of transient strangers, before boarding planes, trains and motorboats. We leave Heathrow on a cold, wintry Friday. London is dark and wet and grimly English. By Saturday evening, we are cutting through clear blue lagoon waters in a boat, at speed, the hot, foreign wind in our hair. Our boat approaches Villingili Island, Addu Atoll, The Maldives. Moments earlier we were handed quaint certificates, confirming that we’d crossed the equator in our little propeller plane – we are without doubt, a long way from home. We’re a long way, even, from Malé, the capital of the Maldives, which we passed through hours ago; this strange island city stands 400 km north, a voyage of proportions, in itself. As the island approaches, figures come into view, and as we meet the jetty, we look up to see many beaming faces. Behind them, a wooden club house, white linen blowing in the wind and a thousand palm trees beyond. This approach marks the final moments of the journey, and on first impressions, Shangri-La Villingili Island resort is as close to paradise as you could hope to find. We are helped out of the boat and handed cool flannels that have been soaked in lavender-scented water; we are met with warm smiles and pertinent questions; there is not a mad rush for our bags, or any clamour, or any stress. All is calm, kind and professional; they understand that efforts have gone into getting here, they understand that these few moments of our arrival are vital, these are the moments that may be imprinted on our consciousness to recall later. There is little co-incidence that these first few moments are perfectly choreographed, Shangri-La Hotels are known to offer some of the finest service found on earth and their training mantras are legendary. Shangri-La try to assume their client has spent months planning their trip, spent significant funds financing the trip and undergone a long and complex journey to arrive at the hotel. They try to understand that the many steps that go into their client arriving on that jetty may have been more testing than one would like, so they do everything in their power to ensure that the welcome is memorable. Many of their clients are regular travellers, individuals who move from city to city without thinking about it; but what’s charming is that they always plan for the client who doesn’t travel that nonchalantly; in doing so, they maintain a level of unsurpassed excellence. Villingili Island is the largest island in Addu Atoll at the southern tip of the Maldives, the lowest-lying group of islands on the planet. 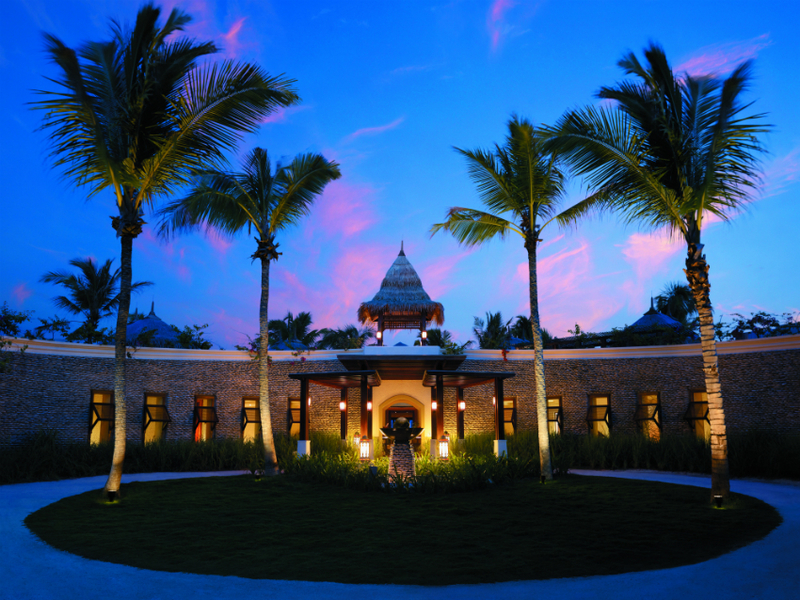 The resort is a joint venture between Shangri-La Hotels and the Maldivian government. The resort opened in 2009 after an extensive period of re-development and huge investment. 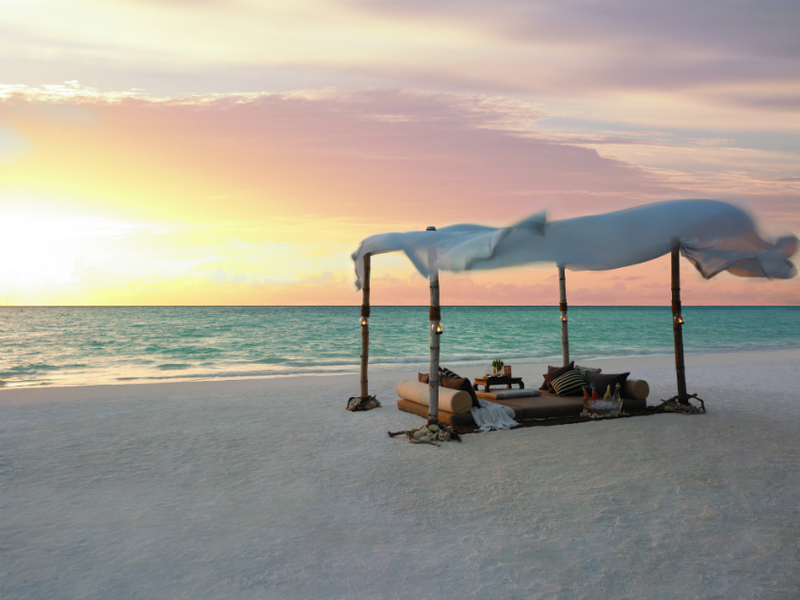 The resort is a haven of luxury set over acres of lush tropical greenery and crisp, white beaches. As you approach from above the atoll resembles a heart, with deep blue waters giving way to light turquoise shallows and golden sand. The resort accommodation comes in the form of luxurious standalone villas that fit into three main categories: Beach Villas, Water Villas and Treetop Villas. If none of these digs appeal to your sense of luxury, there are two Presidential Villas – Villa Muthee and Villa Laalu – each the size of a large family home – a large family home owned by multi-millionaires. Every category has its own beguiling specificities and I’d happily hang out in any of the three, but for this trip it is to the Treetop Villa that I retreat. The villas are secluded and calm; the Treetop residences are on the ocean side of the island, the side which is buffeted by the waves, but this adds a pleasant sense of drama and rhythm rather than unwanted noise. The villa involves a sleeping area and an entirely separate living area, with a pool and meditation area in the middle. It is a sumptuous, silent and gently winsome place to sit happily alone and listen to the sea. I freshen up in my outdoor shower – cool water in the warm afternoon haze – before heading out to dinner. There are three main restaurants on the island: Dr Ali’s, Javvu and Fashala. The restaurants are overseen by Executive chef, Brian Porteus, a sharp-witted Irishman, who spends much of his time tending the island’s private gardens, gardens which supply the restaurants with sun-drenched local produce. It is at Dr. Ali’s that we dine this evening. Dr. Ali’s offers a range of dishes that channel three main cuisines: Indian, South East Asian and those of the Arabic middle East. We enjoy a broad selection of well-made dishes. There is a verdantly-oiled humus dish that’s creamy and pungent with garlic. Thinly sliced beef is doused with soy and wrapped around lemongrass. Prawns are huge and covered in Keralan spices; they crunch and burn softly as they go down. There is potent Sichuan spice that grazes the mouth and focuses the mind, bringing us up out of a Tanqueray lull. Each of the dishes has individual appeal, and together they offer a convincing introduction of some of what’s on offer here at Villingili, when it comes to dining experiences. Sitting outside on the lagoon side of the island there is a strong sense that we’ve found our own corner of paradise. 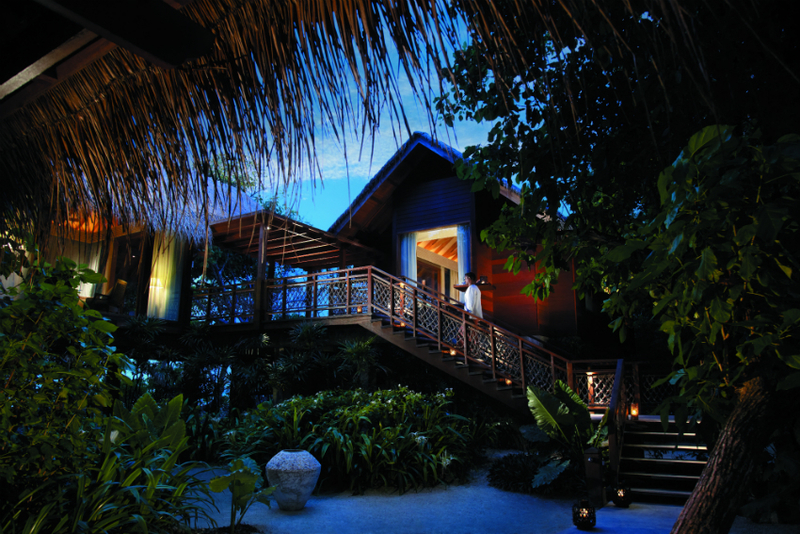 Brian Porteus’s chefs’ garden is another of the gastronomic highlights on Villingili. The garden can be found hidden away amid tropical greenery at the centre of the island. The approach to creating a sustainable structure for the growth and development of local produce is one of greatest achievements that has been made here. Produce from the gardens supply the kitchens in each of the restaurants on the island, and Shangri-La have also set up a number of gardens and farms on the other islands that make up the atoll, allowing local farmers to secure a reliable source of income as well as grow an extended selection of produce. The garden is also available for guests to hire out as a private dining area. 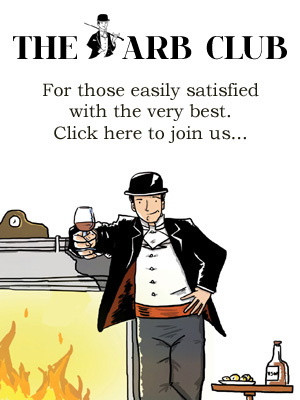 It is extremely popular and for very good reason. Porteus holds court with a calm professionalism and creates light, seasonal and delicately flavoured dishes from the bounties of nature that reside here. Deep-coloured, ripe tomatoes and peppers become calming gazpacho which is followed by a carpaccio of tuna caught from the lagoon. We drink crisp white wine (the only import at this lunch) and then, when replete, we stroll off back to villas for a little rest before another of the islands singular offerings…a round of golf. I have never been much of a golfer, never much of a sportsman for that matter, but Villingili island plays host to the only nine-hole golf course in the Maldives, so we decide to play a round in the late afternoon haze. 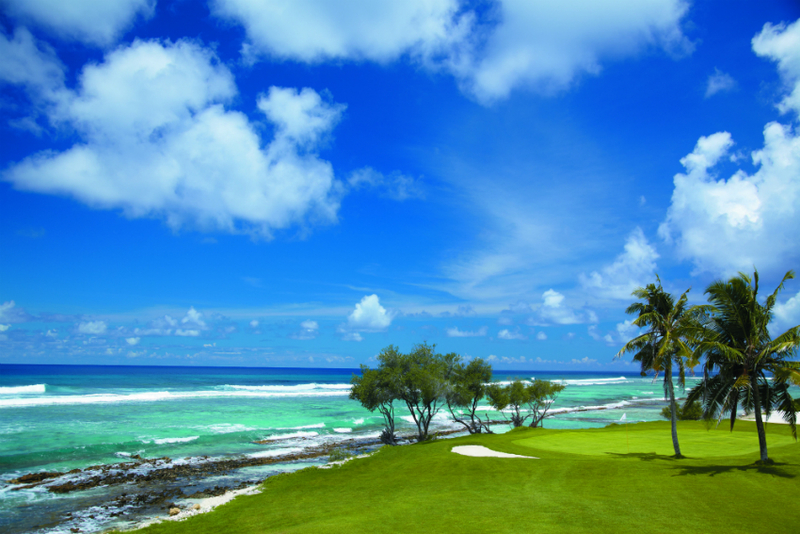 The course is well-appointed, looking out over the deep azure waters of the lagoon. The greens are pristine and our host, the greenkeeper and head of sports here is a gentleman; an ex-Olympian we’re told, and leads us round with a charming sense of brio. There is the added thrill of making your way around Mount Villingili, the 5.1m peak which marks the highest point in the Maldives. I climbed its vertiginous heights, I scaled a monster. As we approach the conclusion of this hard fought golfing fiasco, the sky begins to bruise, the sun retreats and rain starts to fall. This is one of the very few negatives about lounging around on the equator; from time to time, the heavens offer themselves with a ferocity and sense of drama that is hard to convey through words alone. We make it back to villas alarmingly wet, but with a true sense of all the island has to offer, in terms of service, gastronomy, entertainment and climatic dramatics. Soon after it is time for our departure. We take a long, faintly melancholic walk down to the jetty and board the boat that will transport us away from this heavenly microcosm, into a different sphere.